I was determined not to fall in the denial trap—I’d seen it too many times. At two year old my son was diagnosed with autism, and I was told that that the disability was life-long, incurable, and incapacitating. Severe autism meant little or no language skills and socially inappropriate behavior, just a beginning to the heartbreak. Denial was not an option. I knew from research what the future held for my son, to our family, and for me. There must be something that could be done. Watching others I discovered some traps that I wanted to avoid. Thinking my son would outgrow autism was dangerous. Watching a cute sweet child with trouble forming words was one thing, but he would grew up and what would his disability look like then. My heart ached, and I cried over the grim future ahead. But facing the darkness was necessary and love forced me to confront it. Immediately after the diagnosis, my husband and I began to research anything that might help—single-minded in our endeavor to help our son. My husband and I decided to apply any reasonable, affordable intervention. After a long, expensive journey of hours of hard work and thousands of hours of one-on-one time with our son, we arrived at an awesome milestone in our son’s recovery from autism. According to the child development specialist who originally diagnosed our son, we were told that he no longer met the criteria for the autism diagnosis. This was when he was five years old. If you are out there fighting the battle for your child, remember you are not alone. There are those who have gone before you who can pass on helpful information. Autistic children CAN learn. Denial in many cases means ignoring the problems a child has and dismissing issues as if it didn’t exist. However, we found that coming up with interventions, plans, and structure worked better. Look for and do therapy interventions that are successful and have real results. In life, disasters inevitably come. When they do, I have a tendency to blame myself. At the onset of finding out the news that my son, Jeremy, was autistic, I followed the typical pattern. I tried to figure out what I could have done wrong. I review my pregnancy and could think of nothing. I ate well and took care of my health. Maybe it was the time, I came to pick Jeremy up at daycare when he was one year old, and he was wet with bleach and no one had bothered to change him. Would that harm him like that? Did I make a mistake enrolling him in that place? Maybe. Quickly my husband and I decided not to blame each other’s genes. That path was useless and would only make me bitter. Was our environment so toxic that he was affected? I feared it might be. But who knows a satisfactory answer to this mystery. Eventually, I arrived at the decision that I had not caused my son’s autism. I then became more interested in how to fix it. Some would say you can’t, but I decided that there must be something to help Jeremy whatever the cause. At the time he was only two. It felt wrong to give up on a two year old. Within a few months I set up a plan…it was a concentrated effort and laying down a structured, rigorous plan to work with Jeremy for six hours a day six days a week. Part of the plan was to make learning positive and fun for him. I finally knew I was doing all I could do to help Jeremy, but in doing that I helped myself. Giving Jeremy what he needed had taken the focus off who to blame. The focus was on teaching my son and redirecting him when he needed it. The program help me to stay disciplined and on task. We had dramatic and wonderful results. The life of my son was at stake; it was all worth the effort. 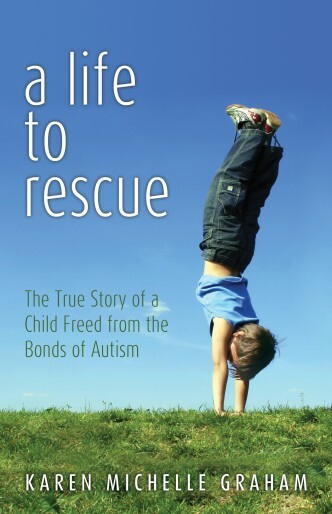 Read the detail of my program…lessons I learned…and the amazing results…buy A Life to Rescue: The True Story of a Child Freed from the Bonds of Autism… visit: www.aLifetoRescue.com . Leave a comment or share this page with a friend. To purchase book: click here. If you enjoyed my post about Autism please comment below! Shrieks exploded from my son’s mouth. He fell to the floor. I reached down to pick him up. He pulled with all his might the opposite direction. Angry tears ran down his face. It’s incredible how much power an autistic two-year-old can have when resisting what he found hateful. All I wanted to do is teach him a few action verbs. On that particular day, giving up seemed the only logical thing to do. I stood and left the room. Frustration ate at my gut, and fear for my son’s future settled heavily in my heart. Similar autistic tantrums had happened before, and I felt helpless to stop his outbursts. What did I expect? He was autistic. To convert what I learn in that one setting didn’t always work in other situations. But I began to learn behavior management technics that worked. For instance, one key when working at the table was not to give in but worked through the autistic tantrums. If it was time to quit, I waited until I knew he couldn’t connect it to the tantrum. See http://autism.healingthresholds.com/therapy/tantrum for another take on autistic tantrums. Here are some keys: 1. Don’t focus on the tantrum. It is easy to inadvertently reward a child for a tantrum. Giving them attention for the tantrum sometimes does that. 2. Redirect the child to another task. If you are teaching him something, direct him and give him praise for anything right he does or says. 3. Learn more and more about fun, positive ways to use behavior management. 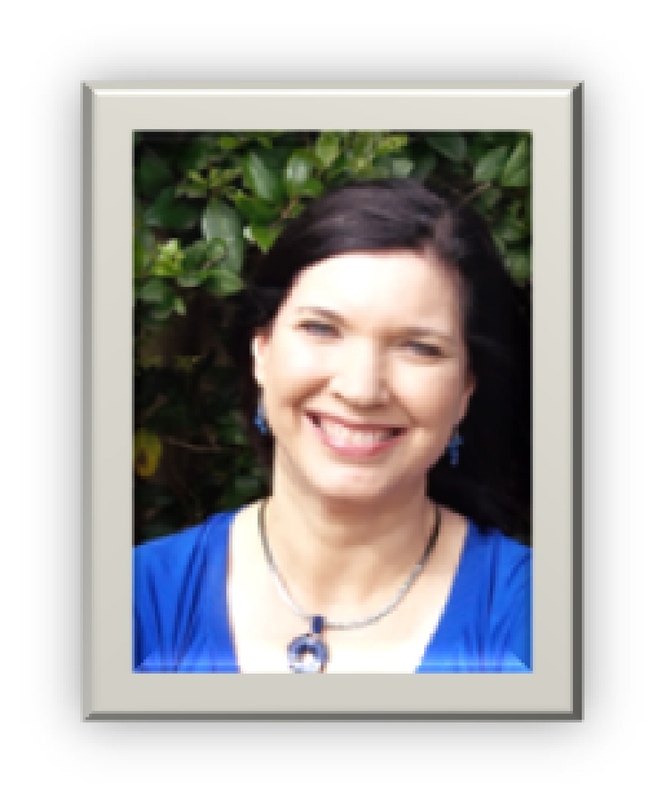 (A good Applied Behavioral Analysis consultant should be able to help you.) 4. Teach every person in your child’s life how to handle tantrums. If just one person gives in, autistic tantrums will resurface. Please comment, like, and/or share this page. 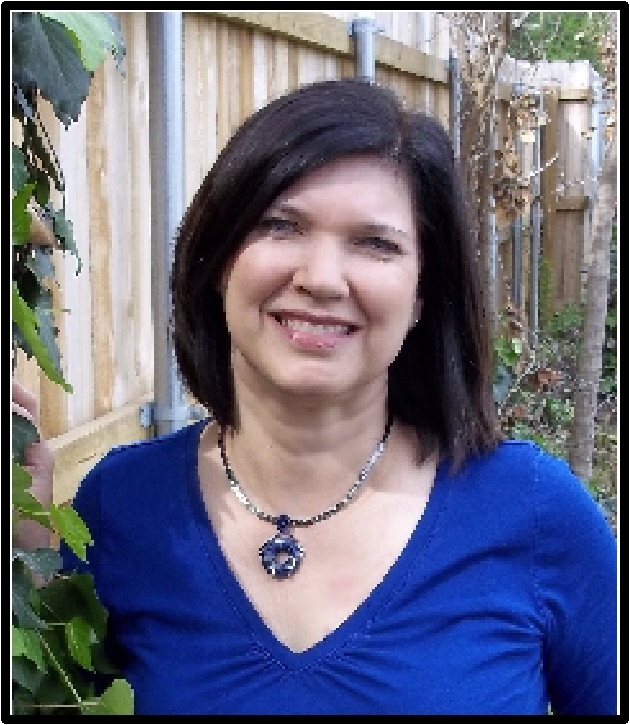 Moments a Mom Can Cherish … During the process of publishing my book about my family’s struggle against autism, I met someone with an autistic child. She found out that my nineteen-year-old son, Jeremy, used to be autistic…had overcome self-stimulatory behavior, caught up with his peers developmentally, and learned to talk and socialize, overall, be a typical kid. I found out later she made a point to watch Jeremy in his school setting and even was involved in a trip out of state that he participated. Coming from someone who understands autism well, this is a profound statement. Similarly, I received an equally encouraging remark this past summer. Jeremy went to the beach with some friends and family. One of the friends is a clinical psychologist and had only met my son once when he was about four years old. He really liked my son, enjoyed his sense of humor, and was impressed with what a amazing person he has become. The parents of autistic children are among the most stressed people I know. Shortly after my son was diagnosed with autism I sat in a parent support group, just watching the fathers’ and mothers’ faces. Their expressions brought tears to my eyes and mingled with my own heartache. The love and commitment to our children was a priority for all of us. We worried about the develop and behaviors of our children…one couple agonized over a son who screamed when he saw people…another parent was grief-stricken when her son shrieked when he saw a child’s hands…one parent dealt with a child so tormented he couldn’t sleep at night, making the whole family sleep-deprived. The worry and concerns about a child who isn’t learning and losing ground daily is torture. But in spite of the obstacles, at every support group meeting, these parents had hope, worked hard, and loved their children profoundly. I found the best cure for stress was having a structured plan. I selected a therapy, set hours, and worked the strategy every day. My son received lots of attention; behavior were addressed instead of sitting by watching helplessly. Even in the mist of what I call mega-therapy (36 hours a week), laughter returned to our home. I began to feel more normal. My stress was directed toward healthy endeavors. We strove to make therapy a fun and rewarding experience for our son. Goals were made and could be measured when the information was taught and generated. Stress and autism seem to go hand in hand, but with love, hope, prayer, and planning, stress can be directed in a healthier direction. Leave a COMMENT on a positive way you’ve learned to deal with stress. If you enjoyed my post about Autism please leave a comment! Often in the past, he hadn’t understood what I said, so I didn’t expect a response. But as I knelt to pray, he got out of bed and knelt with me. That moment of connection he made into our world was extraordinary for him. It was a ray of hope for me. He stayed there as I prayed, and when I finished, he stood and climbed back into his bed. Tears ran down my face, as I gave my son a hug. “Precious, I’m going to do everything in my power to rescue you from this disability. Nothing will stop me. There has to be hope somewhere. If there is, I will find it.” I whispered more to myself than to him. At two-years-old, Jeremy had lost his language, flapped his hands, and did not respond to his name. The autism material had said the disability was lifelong, incurable, and incapacitating. We had little hope for a future for our sweet, adorable son. From that first day, we began a mission to fight for our son’s wholeness. When my son was three and a half years old and tested two years behind his age level, we began an intense Behavioral Intervention therapy program for him. After much hard work and two years later, we received our miracle. The doctor declared our son no longer met the criteria for the diagnosis. He had changed before our eyes to a happy child who handled school and social situations independently. We have reaped wonderful benefits from our hard work, though, we did do follow-up therapy for another two years. That was sixteen years ago. Currently, my son is a typical twenty-year-old college student, has friends, makes As and Bs in school, and has a wonderful sense of humor. There is hope for autistic children. My son is proof. Why I Wrote a Book on Autism? Why I Wrote a Book on Autism? … My son was diagnosed with autism in 1994, and I discovered how overwhelming the information on autism was. There was too much and too little all at the same time as most parents out there can identify with. Once my husband and I found the sources, we felt buried in the contradictions, arguments, and heartache. I even arrived at the decision that I didn’t care what caused my son to be autistic…I just wanted to know how to fix it. Every feasible intervention that showed promise and we could financially handle, we implemented. Eventually, we picked an intense, financially challenging road. We spent thousands of hours with my son…around 1800 hours of one-on-one just the first year. But it was worth every hour and every dollar spent. When the child development specialist announced that my son no longer met the criteria for the autism diagnoses when my son was five years old, I was ecstatic on several levels. It meant so much for my son to interact and attend school independently…and thrive. He was a happy kid with a great sense of humor. Gone were the odd behaviors and mute, nonexistent responses. At that time, I didn’t plan on writing a book. Often, I would meet someone in the autism community who didn’t know or understand many of the concepts I had learned that were key in my son’s recovery from autism. I was shocked that they weren’t doing some of the interventions we had…even people who had the money. So I wrote our story…each reader lives the experience with us as the heartache unfolds to wholeness, joy, and hope. It’s an emotionally-charged story inside the life of therapy. And I emphasize the word, inside. I invite you to read my story. If you enjoyed my post about Autism, click the comment tab and leave a message!